Leading the charge — an Air Radiators product upfront. Anecdotes of drivers’ thongs melting on hot truck floors may not just be urban myths. We’ve heard that engine fan clutches have literally melted in the United States in worst-case scenarios of modern engine heat. Truck heat may not be a hot topic right now, in the middle of an Australian winter, but in another few months it will be once again. Even more so in a few years, when Euro 6 emission standards come in. 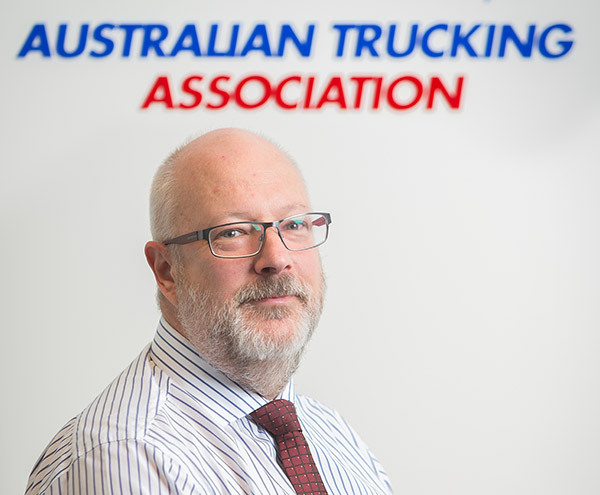 Chris Loose is enduring his first winter in Canberra as senior adviser, engineering, for the Australian Trucking Association (ATA), after moving from Melbourne. It had got down to -7C when TradeTrucks recently spoke with Loose, but that’s nothing for Australian truck operators compared with their northern hemisphere cousins. Radiator coolant, containing the antifreeze agent ethylene glycol, may be essential in Sweden or Canada, but we don’t need its antifreeze properties in Australia. Its anti-boil properties are handy, though. Loose explains that ethylene glycol has important qualities in dealing with heat. "It’s a wetting agent, so it helps the water stick to components and that will help with heat transfer," he says. "It also improves the situation with cavitation on the water pump." As well as ethylene glycol, coolant contains various additives, so a good coolant should also protect against corrosion, scaling, acidity, foaming, and solid stuff plugging up the various cooling system passages. All this adds up to explaining why, if you have to fill the radiator up with water in an emergency, it needs to be replaced with proper coolant as soon as possible. 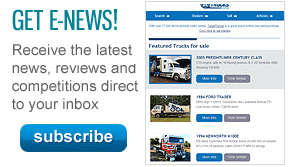 Loose has spent his professional life absorbed with trucks and the product planning involved with them. His first job among several truck manufacturers was with Isuzu, after graduating as a mechanical engineer from Melbourne’s Monash University. International and Iveco followed, then most recently a decade-long stint with Mercedes-Benz Australia looking after the Sterling and Freightliner products. When one of the ATA’s technical stalwarts, David Coonan, retired due to ill health last year (the other tech veteran is Bob Woodward), Loose took the opportunity for a career change. 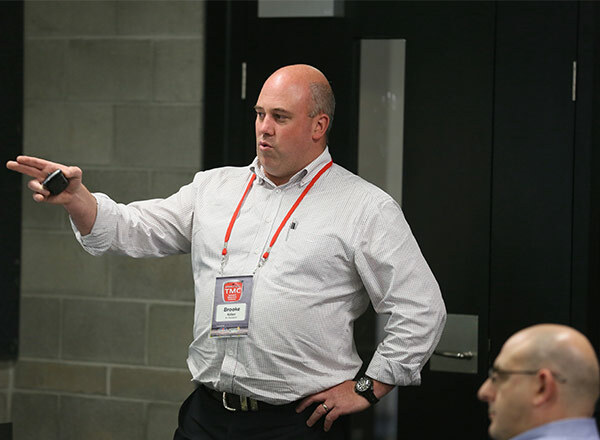 He had previously been involved with the ATA’s industry technical council, as well as the ATA’s flagship Technical and Maintenance Conference (TMC) organised annually in conjunction with Paccar and the Australian Road Transport Suppliers Association (ARTSA). Plenty of discussion at those TMCs has been around the heat problems presented by exhaust gas recirculation (EGR) emissions systems, as opposed to selective catalytic reduction (SCR), which has its own issues of course. "People have suffered a little bit with the EGR engines because they do put increased loads on the cooling system as opposed to the SCR solution for the emissions control," Loose says. "Some of those EGR installations have been better than others." "All engines are different and all cooling systems are different," he adds. An interesting thing you’ll notice in a lot of late-model trucks is that some manufacturers have removed graduations from temperature gauges. "Operators don’t actually know what the temperature of the engine is anymore," Loose says. "Really, it’s irrelevant because, with the pressurised systems these days, engines are starting to operate above 100C, and that’s more than fine." Loose points out that operators themselves often make it harder for the cooling system to do its job. "They’ll put a bullbar up front, they’ll put signage on the front; they’ll put spotlights on the front — all closely coupled because of length restrictions, and that doesn’t allow the air circulating around those components to get through the radiator. Loose has some very handy practical advice for operators in minimising such unintended contributions to the heat problem. For a start, having bullbars and lights even a few inches further away from the grille can make a big difference. Ask yourself if you really need four driving lights. Modern LED lighting takes up less space again. 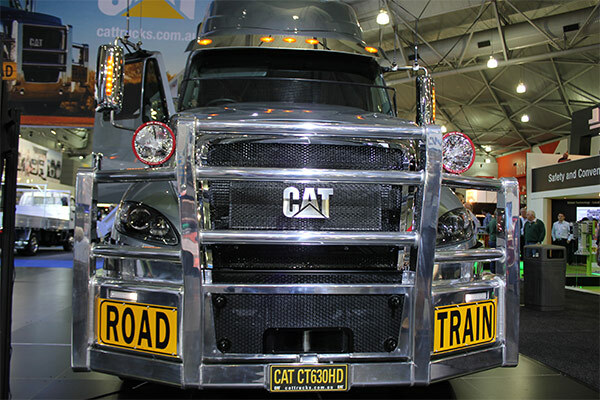 Cool Cat — the bullbar is well in front of the radiator, and the driving lights and signs are out of the way. Cool air getting in is one thing, hot air getting out and past the vehicle is another. Loose says the prime example is dangerous goods (DG) prime movers. They not only have fully shrouded exhausts and mufflers, but a lot of the chassis and cab section is covered to prevent splashing of fuel onto any hot surface. Fully sealed checker deck plate might go right across the top of the chassis. Combine that with fuel tanks all along the sides and not only does it impact on the cooling system, the extra heat can affect the wiring and transmission and oils as well. "It creates quite a huge heat-affected zone around the drive shaft and transmission," Loose says. Non-DG operators with an eye for appearance need to remember that while chequer plate looks good, it also restricts air flow in that area. Loose warns that looks can be deceptive at the front of the engine. "In Australia, we get a lot of crap caught between the charge air cooler and the radiator, so the front may be fine but the back may not be," he says. "There are seasonal impacts there. "The bugs; the end of summer where everything is drying off and there’s a lot of debris around … the fans will actually pull a lot of that debris through the radiator as well, so that tends to block it up." Sometimes operators who do their own servicing pull recirculation baffles off from around the radiator, thinking they are just noise panels or something else that is getting in the way. But they are designed to prevent hot air being circulated from the back of the radiator to the front, when the truck is driving slowly. Brooke Killen from Air Radiators at the most recent TMC. Photograph Marcel Voestermans. 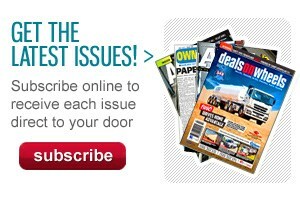 Speaking of radiators and air flow, few people in Australia know more about them than Brooke Killen. Killen is a mechanical engineer by trade, and business development manager for engineered product with Geelong-based Air Radiators. 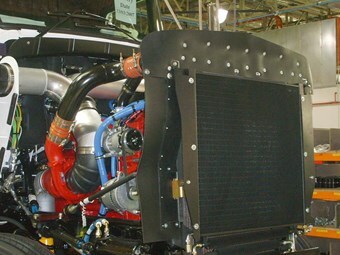 Air Radiators is an Australian company which has supplied Kenworth for nearly 40 years, and provides radiators for the Iveco Acco and Cummins-powered Iveco Powerstars. Killen also has personal experience of radiators in Hino fire trucks as captain of the volunteer Country Fire Authority (CFA) brigade at Lethbridge, between Geelong and Ballarat. He says because engines are running hotter, it’s all the more important to keep the radiators clean from dust and ash, and to that end his members pressure-wash the radiator as part of normal truck cleaning. But they have to be careful not to push grass and stalks etc. into the radiator. Killen was a keynote speaker at the most recent TMC, and gave an interesting presentation. Fans work harder these days. 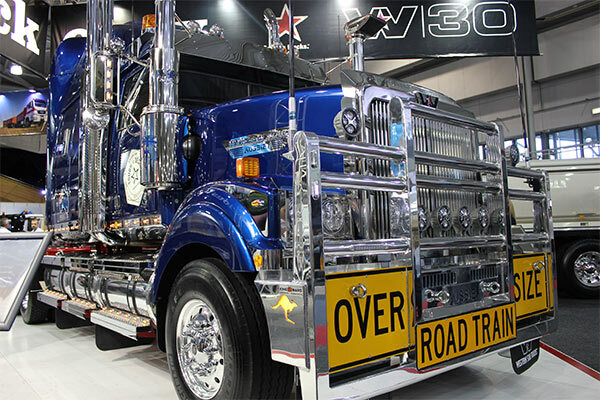 Displays at the recent Brisbane Truck Show. You’ve got to feel sorry for the modern engine fan, which has numerous masters. Killen points out that the engine cooling group in a modern on-highway truck is a big one. It involves far more than just the traditional engine jacket water radiator. Jacket water collects reject heat from the engine including the engine block, head, lube oil circuits and potentially the emission system including the EGR cooler (more on EGR below). Meanwhile the charge air cooler (or ‘intercooler’, if it uses engine coolant) transfers the heat generated in the compression of induction air for the engine to ingest. Then there is the air-conditioning condenser; fuel cooler; power steering cooler; transmission cooler; final drive cooler; and maybe hydraulic/power take-off cooler. "All of these coolers add heat into the cooling air stream and create resistance for the fan to work against," Killen says. Resistance to cooling air flow in modern trucks also comes from tighter cab and bonnet aerodynamics; reduced grille entry areas; stylish grille design; and engine tunnels that increase cabin space but reduce air flow underneath. "The only device in the cooling system that overcomes restriction is the fan," Killen says. The biggest negative to cooling systems in recent years has been linked to emissions control technology, Killen says. He reckons that since ADR80/02 (Euro 4) in late 2006, most emissions technologies affect the cooling system in some way. Prime among them is EGR, of course. The cooling of the exhaust gas for return to the engine is done by the jacket water cooling system. "At the introduction of EGR at ADR80/02, this represented a jump of around 30 per cent of the existing heat load," Killen says. He estimates SCR at much less —no more than 5-10 per cent extra heat load. Like many experts, Killen forecasts that when Euro 6 emissions control is inevitably mandated in Australia, it will require both EGR and SCR in most trucks. Meanwhile, combustion improvements are leading to "ever-increasing" boost pressures and temperatures for the charge air cooler to cope with. A big Star with a big bonnet, and therefore more air around the engine. There are pros and cons involved with combating higher head loads. Larger cooling systems might seem like an obvious response. But Killen says they are least favoured by truck manufacturers and operators due to their impact on styling, vehicle efficiency and line of sight for the driver. Fan speeds have increased, but this draws more power. 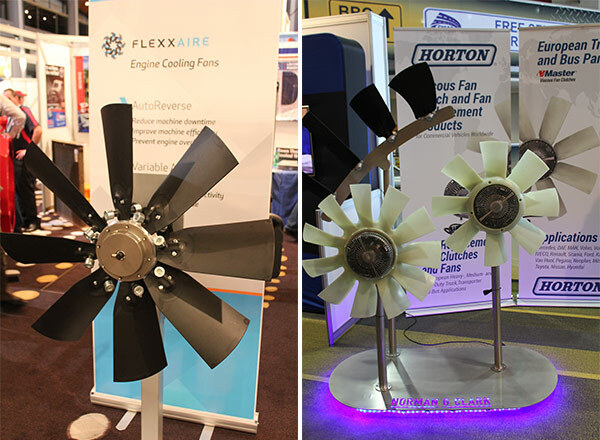 Increasing the number of fan blades and increasing fan diameter also draws more power. "In addition to power draw increases, all solutions also come at the cost of extra noise," Killen says. Meanwhile, the result of the additional heat load rejected from the cooling system is higher under-bonnet temperatures. In turn, those higher temperatures and extra power draw can effect ancillary equipment such as fan clutches, drive belts and other rubber ware such as hoses. Their design has been changed as a result.